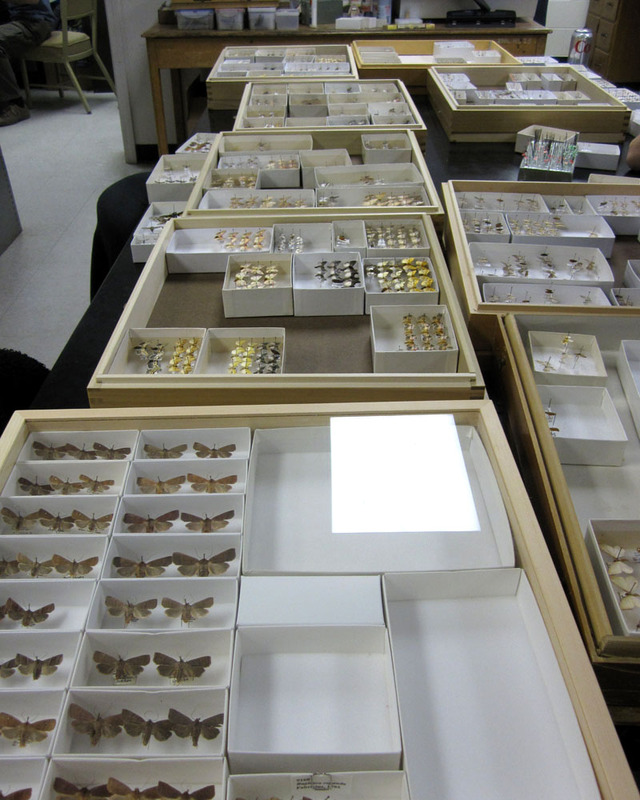 On Saturday our lab had its yearly “moth curation party”, where my advisor invites a swarm of lepidopterists into the lab to identify and organize our collection of moths. I spent most of the day identifying moths in my study genus, Acronicta. With the aid of the collection and help from the other lepidopterists I did a decent job. Some of them are pretty tricky. 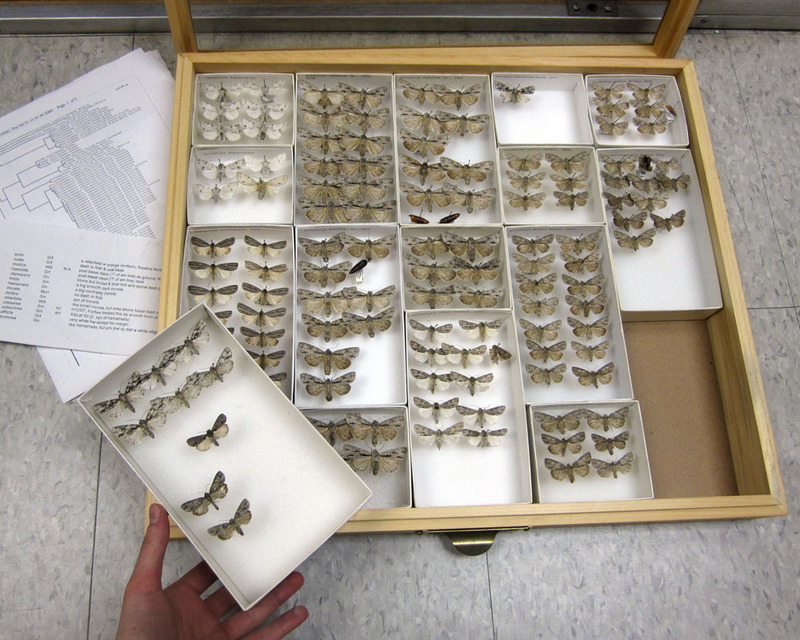 Here is one of the drawers… as you can see they aren’t exactly the most exciting moths in the world. I also assisted with drawer labeling, which satisfied some of my organizational urges. It feels great when everything is clearly and consistently labeled, if only we had the time to do everything that needs to be done! Posted on February 13, 2012, in Uncategorized. Bookmark the permalink. 1 Comment. I’m jealous. My kind of party.